Xentry DAS, what Mercedes models can & cannot do? In the Mercedes software Xentry / DAS, there are lots of Mercedes-Benz Group models including Mercedes-Benz, Smarts, and MAYBACH,SETRA, COBUS, MITISUBISHUI FUSO. But what models can MB Star diagnostic tools do and cannot do? Read the vehicle list here to get it. What models Xentry / DAS can do? MB SD Connect C4 can works well on Mercedes-Benz passenger cars, trucks, vans, buses, unimog, super sports cars, and Smart also. What models Xentry / DAS cannot do? You will also see some MAYBACH,SETRA, COBUS, MITISUBISHUI FUSO models (belonging to Mercedes-Benz Group) in XENTRY/ DAS, but SD connect c4 or star c3 cannot support it. What models waiting for tests? The models should be done with SD Connect C4 theoretically. But they have not been tested yet by users in fact. 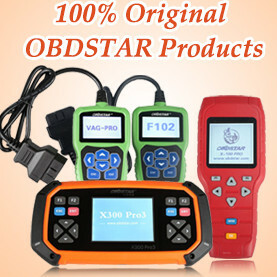 This entry was posted in Car diagnostic tool and tagged MB SD connect c4, SD Connect C4 on June 10, 2016 by obd365.